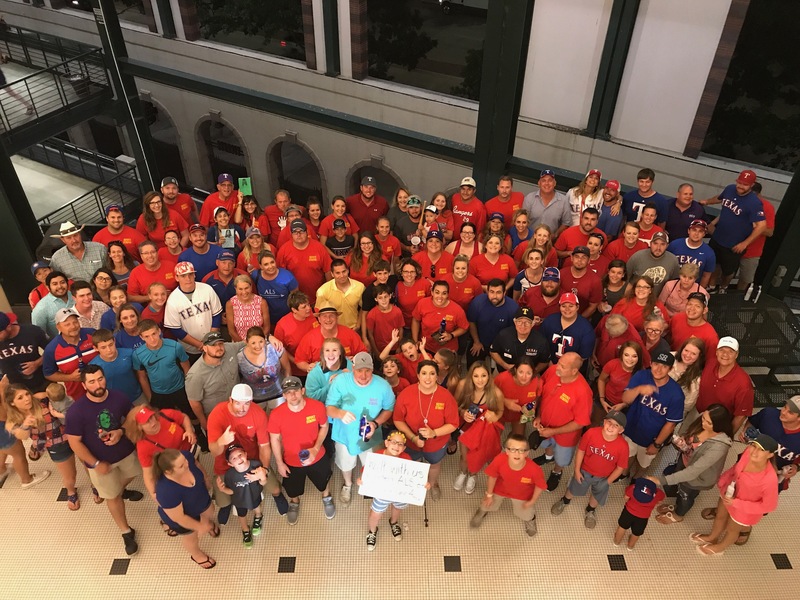 SunnyStrong is walking at the MDA Muscle Walk on September 16th at Globe Life Park. Join us! 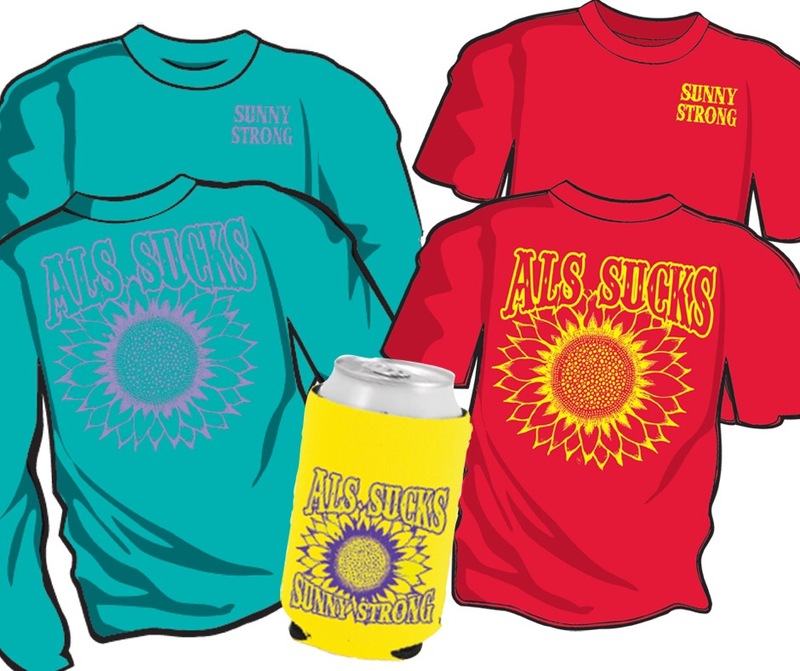 I will place the big shirt order on September 5th so that everyone can either pick it up at the walk on 9/16, or after the 16th it will be mailed to you or picked up in Hico. 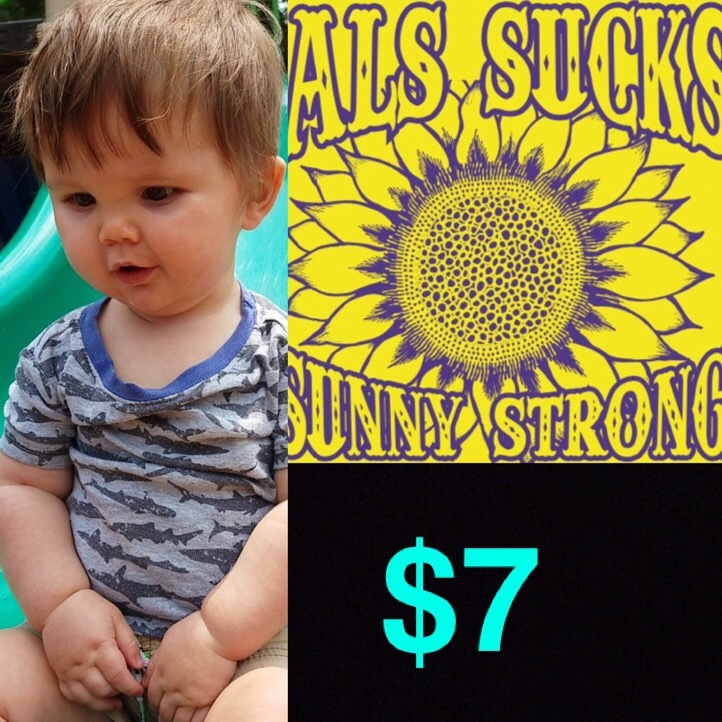 I can’t promise we’ll order again before the ALSA walk on November 4th so get your orders in! Join us! You aren’t living life to the fullest if you aren’t using a magnetic SunnyStrong koozie! Peyton approved! 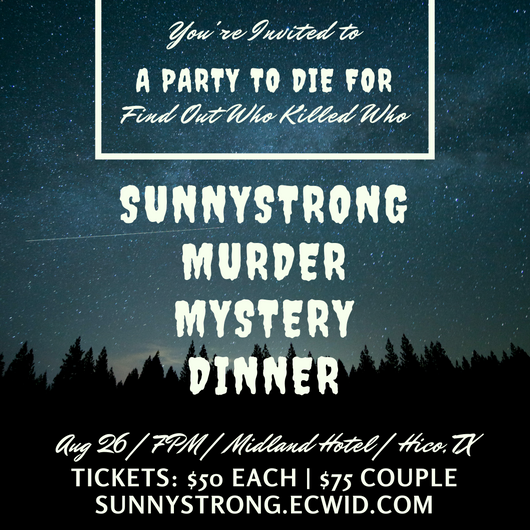 Join us for a night of mystery at the Midland Hotel in Hico. Tickets are limited, buy yours today!